But this pile of rubbish might contain just what Nicola White is looking for. 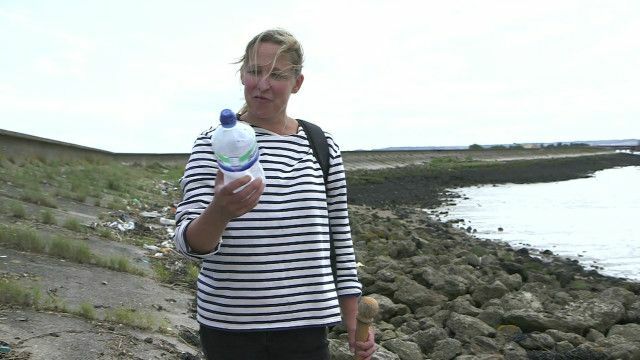 She hunts for messages in bottles on the banks of the River Thames in England. Nicola』s found over 30 in three years, including a declaration of love and an appeal for a job. It seems, in this case, bottling up your emotions is a good way of sharing them.